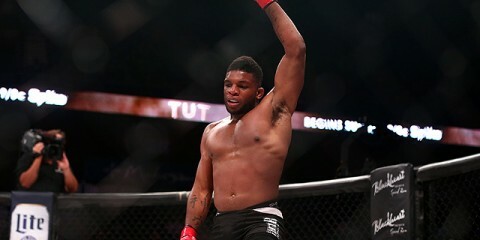 Most fighters don’t mind the quick paycheck that comes with finishing their opponent in short order. However, that’s not the case for new Invicta FC featherweight Amber Leibrock. 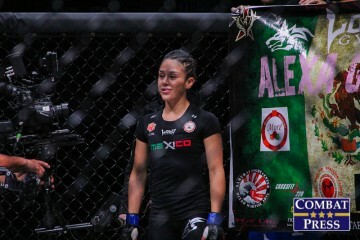 Leibrock is preparing to make her professional debut at Invicta FC 13 on July 9 against Marina Shafir, and she hopes to take Shafir the distance. 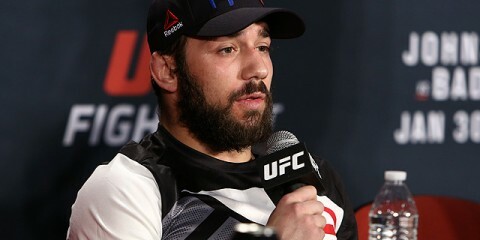 In Leibrock’s view, it would be “kind of disappointing” if she finished Shafir quickly after going through a grueling training camp to prepare for her first professional fight. Leibrock’s amateur career consisted of four bouts, and she compiled a 3-1 record. 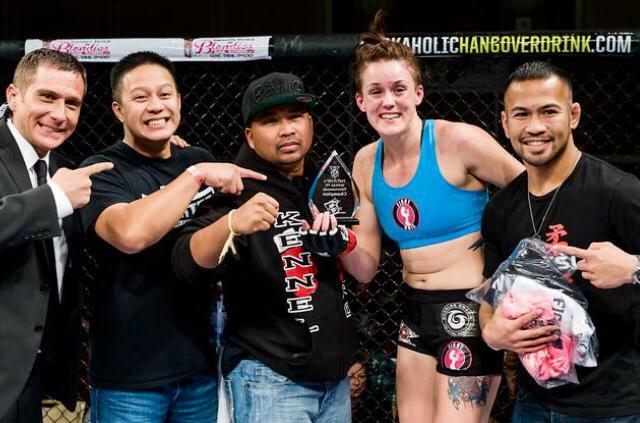 It also directly led to her signing with Invicta after she won a tournament in the Las Vegas-based amateur MMA organization Tuff-N-Uff earlier this year. Shafir is also making her Invicta debut. 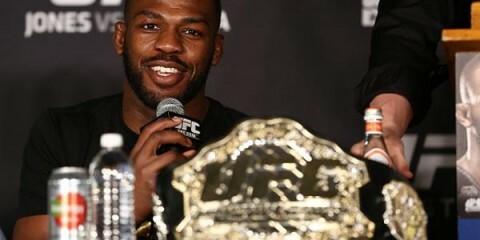 She is known in many circles for being a teammate of UFC women’s bantamweight champion Ronda Rousey. Shafir is coming off a 37-second knockout loss in her last professional fight. 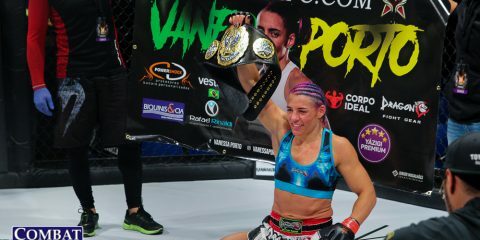 Despite Shafir’s recent defeat, Leibrock believes Shafir sees her as just a stepping stone to an eventual fight with Invicta featherweight champion Cristiane “Cyborg” Justino. Although Leibrock considers herself a “very adaptable” fighter, she likes to keep fights standing and boasts about being a very strong striker. However, Leibrock added that she is just as comfortable going to the ground and believes she has a very strong ground game to match that of her opponent. 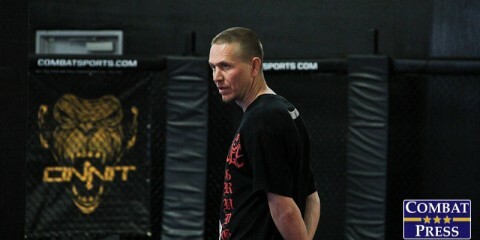 Ultimately, Leibrock’s goal in mixed martial arts is nothing less than a world championship.